In very simple terms, wagering is a bet on something which could bring a win or the opposite on the parties at the occurrence of uncertain future events. So it would be a wagering agreement. In this research paper, I have discussed briefly the definition of wagering agreements, its essential features and its exceptions. I have also discussed the comparison of wagering agreements under the Indian and English law. The main motto of writing this research paper is to make you all aware about the vagueness that Section 30 of Indian Contract Act has and how it can be removed and to back up my logic I have referred to various case laws for substantiating my points. I have also discussed the various issues pertaining to the topic and have provided some suggestive measures to deal with it. So the main crux of my research paper is that section 30 of the Indian Contract Act is not clear in itself and therefore it must be amended in order to remove its vagueness. During my childhood, my friends use to bet on small-small things especially on IPL teams and the deal was usually that one would promise to other to give some chocolates if his team loses the game and the same was promised to the other party as well. One day after the outcome of the result the party that lost the bet refused to give the chocolates to the one who won and they got into a small fight. The one who won the bet was my best friend and he asked me that whether the lost party should have given him the chocolates or not. I said that the one who lost the bet is obliged to give you because it was a deal and you both promised each other and breaking promises is a bad habit. Good guys don’t do it. But now I know that the logic that I gave way back was wrong and legally the lost party was not bound to give as the deal between them was of wagering in nature which according to the law is void. This incident was always in the back of my mind and was one of those topics of contracts that attracted me the most. So inspired by this true story I thought to do a brief analysis on wagering agreements. In very simple terms, wagering is a bet on something which could bring a win or the opposite on the parties at the occurrence of uncertain future events. So it would be a wagering agreement. SUBRA RAO J(afterwards CJ) in Gherulal Parakh v. Mahadeodassaid: Sir William Anson’s definition of “wager” As a promise to give money or money’s worth upon the determination or ascertainment of an uncertain event. The most illustrative definition of “wager” is that given by HAWKINS J in Carlill v. Carbolic Smoke Ball Co. That a wagering contract is one by which two persons professing to hold opposite views touching the issue of a future uncertain event, mutually agree that, dependent on the determination of that event, one shall pay or hand over to him, a sum of money or other stake; neither of the contracting parties having any other interest in that contract than the sum or stake he will so win or lose, there being no other real consideration for the making of such contract by either of the parties. It is essential to a wagering contract that each party may under it either win or lose, whether he will win or lose being dependent on the issue of the event, and, therefore, remaining uncertain until that issue is known. So in layman terms wagering agreements usually mean to bet on something and of which its result must be unknown to both the parties and after the outcome of the result or the occurrence of such uncertain event one party lose and the other wins. UNCERTAIN EVENT: The first thing essential to the wager is that the event on which the betting is done must be uncertain in nature unknown to both the contracting parties. In the case of Jethmal Madanlal Jokotia v. Nevatia & Co. It was held that a wager generally contemplates a future event, but it may even relate to an event which has already happened in the past, but the parties are not aware of its result or the time of its happening. MUTUAL CHANCES OF GAIN OR LOSS: The second essential feature is that upon the determination of the contemplated event each party should stand to win or lose. If there are no such mutual chances of gain or loss, there is no wager. Thus in the case Babasaheb v. Rajaramit was held that the agreement could not be looked upon as one of wagering in law.” It is of the essence of wager that each side should stand to win or lose according to the result of the uncertain event”. A chit fund does not come within the scope of “wager”. In the case of Narayana Ayyangar v. Vallachami Ambalam it was so held by Madras Court “It is true that in most chit fund transactions, no subscriber loses the money he has contributed; and so long as getting back the actual amount of subscription is assured, the interval of time, however long it may be, is immaterial.” So as we can see in the case of chit fund that due to the absence of mutual chances of gain or loss for the contracting parties, it does not come within the ambit of the wager. Thus mutual chances of gain or loss constitute an essential feature of wagering agreements. NEITHER PARTY TO HAVE CONTROL OVER THE EVENT: Thirdly, neither party should have control over the happening of the event because, “If one of the parties has the event in his own hands, the transaction lacks an essential ingredient of a wager” was said by BIRDWOOD J in the case Dayabhai Tribhovandas v Lakshmichand. HORSE RACE [S.30 (EXCEPTION)]: The section does not render void a subscription or contribution, or an agreement to subscribe or contribute, toward any plate, prize or sum of money, of the value or amount of five hundred rupees or upwards to the winner or winners of any horse races. In the case of Moore v. Elphick it was held that “If skill plays a substantial part in the result and prizes are awarded according to the merits of the solution, the competition is not a lottery. Otherwise, it is.” Thus literary competitions which involve the application of skill and in which an effort is made to select the best and most skilful competitor are not wagers. There is a major difference between the English and the Indian laws relating to wagering: under the English Gaming Act, 1845, agreements that are Collateral to the wagering agreement are also rendered to be void, whereas, in India, collateral agreements to the wagering agreements are not necessarily void because the object of that collateral contract may not necessarily be unlawful. But there are some issues which are in need to be sorted out. The confusion among the lawyers, law students and some other people out there regarding section 30 of Indian Contract Act needs to be cleared out. Some of these people think that wagering agreements are illegal and are not allowed by the law but the reality is different. Section 30 of Indian Contract Act does not render wagering agreements as illegal rather it renders it as void agreements which means that it is not enforceable in the court. So the contract act does draw a distinction between an agreement which is only void and the one in which the consideration or object is also unlawful. In the case of Pringle v Jafar Khan it was said that “Section 23 points out in what cases the consideration of an agreement is unlawful, and in such cases, the agreement is also void, that is, not enforceable at law”. Section 25 to Section 30 refer to the cases where the agreements are only void, though the consideration or object of that agreement is not necessarily unlawful. So an illegal agreement is one which is not allowed by the law or you can say that it is forbidden by the law whereas in the case of a void agreement it may not be forbidden, “the law may merely say that if it is made, the courts will not enforce it”. Thus what we can conclude from the above lines is that every illegal contract is void, but a void contract is not necessarily illegal. Another issue pertaining to the topic is that of its vagueness. Section 30 of Indian Contract Act talks about agreements that are of wagering in nature being void. But the given section does not define the term wagering. Thus this depicts the vagueness of section 30 of the Indian Contract Act. So there is a need to amend the given section and to make it more clear by defining the term “Wagering”. Now the third and the most important issue is related to the exceptions of the wagering agreements. Betting on horse racing is being not considered as of wagering in nature as it involves some skill in it. So gambling and betting on horse racing is allowed but the thing that we have to focus on is that gambling and betting are usually something that government does not promote as they think that it is against the public interest and general welfare of the people. Then why gambling and betting on horse racing is being allowed? Now to get the answer to this question we need to refer to some cases related to it. In the case of State of Andhra Pradesh v Satyanarayana and ors.the Supreme Court ruled that “In fact in all games in which cards are shuffled and dealt out, there is an element of chance because the distribution of the I cards is not according to the set pattern but is dependent upon how the cards find their place in the shuffled pack”. Now, in this case, the court has tried to differentiate between the games based on the chance and the ones that are based on the skills. This was done to separate Rummy(a skill based game) from the other games based purely on chance such as a lottery. On the other hand, the horse-racing is not considered as a game based on pure chance or luck rather a game of skill. 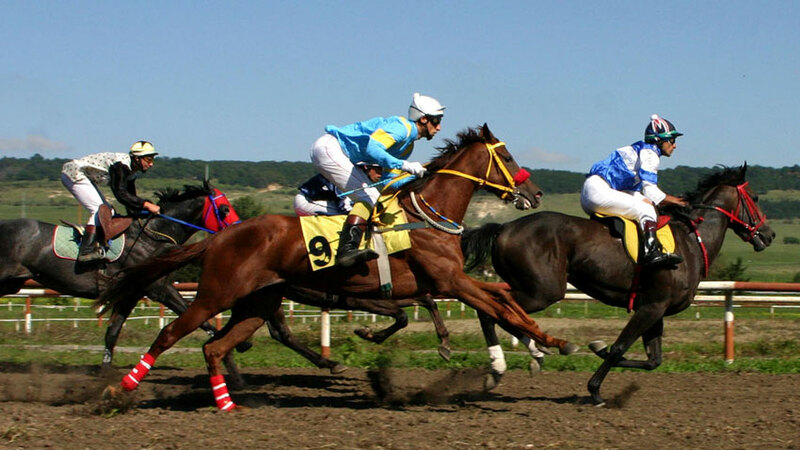 Whether the horse will win the race or not, not only depend upon the luck factor rather it also depends upon some other factors such as the amount of pedigree given to the horse, the level of training the horse has gone through, the rider skills as well as the health of the horse. Thus all these factors constitute together the chance of the horse to win the race. Thus it would not be wrong to say that in horse racing you require some pre-requisite skills that will determine the outcome of the race. But as we know that one of the essential features of wagering agreements is that neither of the parties should have control over the event. But in the case of horse racing, the party that posses the required skills do gain some control over the event. Thus this is the reason why the legality of betting on horse racing is being allowed as it is not a mere game of chance. Thus in another case of Dr. K.R. Lakhsman v State of Tamil Nadu the apex court held that the horse racing is neither a gaming nor is it gambling rather horse racing is a game of skill and cannot be considered as a game of pure chance. Thus the three-judge bench observed as follows “In view of the discussion and authorities refered, we hold that horse-racing is a game where the winning depends substantially and preponderantly on skill.” Thus it is pretty much clear that betting on horse racing is legal in the eyes of the law and that’s why it has been kept under the exception to wagering agreements. But the question that arises here is that if the skill is the only reason for which the horse racing has been kept under the exceptions to wagering agreements then there are many other sports which also involves some kind of skills and is not purely a game of chance or luck. So in these type of games as one of the party may be familier with the skill of the player on whom he is betting, then in that case the probability of uncertainity would decrease, the event would come under the control of one of the parties and ultimately it will defy the essential features of wagering. Cricket for that matter do involves skill as playing cricket requires a hand- eye co-ordination for bowling, fielding and hitting. It requires speed both during the fielding time and between the stumps. Also, the line, length and the speed required for bowling depends upon the bowlers practice and his bodily strength. 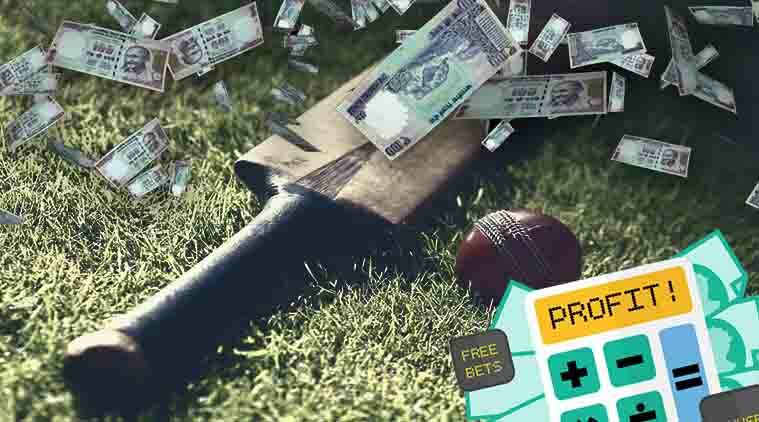 Therefore cricket cannot be held as a game of chance but is a game of skill which is exempted under section 12 of public gambling act and is not an offence. But section 30 of Indian Contract Act talks specifically about horse racing thus ignoring other sports that also has some kind of skills involment. Thus if the principle of skill is being applied in the horse racing and thus keeping it as an exception, the same should be applied to other sports as well and hence the exception that has been given in section 30 of Indian Contract Act must be amended and it must include those sports where involment of skills are there. But still the problem does not get solved here. Our society has always seen gambling as something immoral and against the public policy and those who oppose that betting on sports should not be legalised give justifications that it would promote the crimes related to the sports such as match fixing, but I want to ask one question to these people that even if betting on sports is not being legalised, can they gurantee us that mishappenings such as match fixing would not take place. No, they can’t. Rather because of not legalising the betting on sports, the money that people earn through betting goes unaccounted and unregistered. But if betting on sports is legalised and that too with some state control measures the money which was being earlier going unaccounted would now be no more unaccounted as the betting would be state regulated. And not only the sports but even the share market for that purpose do involve some skills as the expert could by deep analysis of shares of different comapny can predict about that which comany’s share is going to flourish and which is not. Thus if we apply the principle of skill here also it also fullfils the criteria of coming under the exception category of wagering agreements but section 30 0f Indian Contract Act is totally silent about these things. Thus on the face of it section 30 of Indian Contract Act may not look vague but when you’ll start dealing with the intricacies of it you’ll come to know that there are many points that have been missed out or is vague in nature or is not being listed and discussed in it. And even in our country some states do allow betting in state regulated casinos. One more reason of putting horse racing as an exception to section 30 of Indian Contract Act could be that earlier horse racing was considered to be so popular that even the Income Tax Act, 1961 (as ammended from time to time) had to create provisions for winning from betting on horse races. So if this could be one of the other possible reason for keeping horse racing as an exception to wagering agreements then even cricket for that purpose is a very popular game and here also the government can create some provisions for winning from betting on cricket games. So I don’t see any reason for disallowing betting on cricket games or on games which are as popular as cricket. NOT ONLY THE HORSE RACING BUT ALL OTHER SPORTS AND GAMES THAT HAS AN INVOLMENT OF SKILLS, MUST ALSO BE KEPT AS AN EXCEPTION TO WAGERING AGREEMENTS AND FOR THIS, SECTION 30 OF INDIAN CONTRACT ACT NEEDS TO BE AMENDED. Sec.30, The Indian Contract Act , 1872. AIR 1959 SC 781:(1959) 2 SCR 406. (1893) 1 QB 256 (CA). ILR (1927) 50 Mad 696. ILR (1885) 9 Bom 358,363. (1945) 2 All ER 155 (CA).